The wait for Marshmallow is finally over as Lava has recently released the Android 6.0 update. This is the benefit of the Pixel V1 being an Android One device. The update is now available as a GOTA package and will bring all the gooey Marshmallow goodness to the Pixel V1. I just upgraded mu phone and its working smooth! For those who would now start looking for the steps to get the update- here are the steps. After download click on the restart and install and let the Marshmallow goodness enter your life. Battery - more than 50% preferably 100% to avoid any complication. Space: atleast 750 MB so delete most of the unnecessary data. 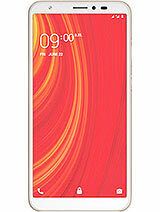 Phone colour: white has to follow different set of rules compared to golden onde. pow, 23 Oct 2015this is 4G aha...it is 4G?? After updating to marshmallow I got gallery icon. 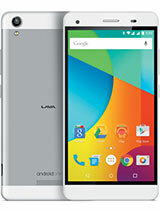 AnonD-449384, 21 Nov 2015This is my third smartfone from lava.first of all i baught lava iris405+ after that lava fuel... moreBro.. Very good phone got Marshmallow update and my phone goes more better. Awesome phone. When I get marshmallow on my Lava Pixel V2 ? 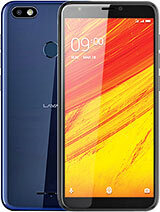 This is my third smartfone from lava.first of all i baught lava iris405+ after that lava fuel50 and now lava pixel v1.all fine are ok.lava pixel is the best fine in his price range.i naught this fone from snapdeal in 8000 rupees at offer of divalee. Performance, battery backup, camera,everything is average. Browsing is superfast on 2g network.touch response , audio ,call quality is very good. Display ,signal is average. Till now ,i have not found any problems. Can someone tell me where to find user profile? Good news for Pixel V1 users, the Marshmallow update is finally here. 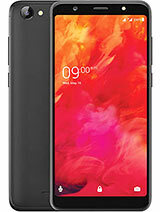 It is the first Lava smartphone to get the update which will bring lots of useful features and security patches for the best Android experience till date. 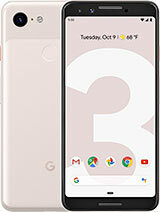 The update comes straight from Google itself as the Pixel V1 belongs to the Android One family. Great work Lava. Now you can get all the goodness of Android Marshmallow with the recently launched update. The Pixel V1 is the first Lava phone to get the update because it belongs to the Android One family of Android devices. This makes me really excited and anxious for the Marshmallow update. The Lava Pixel V1 finally gets the Marshmallow update, straight from Google, due to its Android One status. Really excited and can hardly wait to use Android 6.0 on my Pixel V1. Lava sure took their time to release the update but then again it is still the first Lava phone to get the update, which is a good thing. Anonymous, 15 Nov 2015Tel me abt its Camera.. Battery bkup.. and Look.. plz fast.... ? ?Dear,lemme tell you something about this phones battery! Ever since my sister has bought pixel V1 she has continuously raving about it!! !Plus, she's having a great time taking innumerable pics with high clarity - 13MP rear camera and 8MP front camera along with its ad on features! anoop, 15 Nov 2015Tell me abt its battery bkup and camera .. ?Hi Anoop, this phone is battery damn good (2650mAh) lasts a day even with proper usage!The camera is not so bad either, you can enjoy taking lotsa selfies with nice 13MP * 5MP cameras dat works well in low lights also! Anonymous, 15 Nov 2015Tel me abt its Camera.. Battery bkup.. and Look.. plz fast.... ? ?Though I'm not using this phone on the first hand basis, but my sis did just buy the phone so I can tell you about its couple of features! It has a metallic finish and doesn't look like your regular run of the mill android phone. Very trendy! Different camera features - 13MP rear and 8 MP Front, "Lens Blur", Night Pro, Beauty enhancement and all! The battery is pretty decent! Works a day on a single charge! It's a solid phone. Must buy! afzalikka, 08 Nov 2015im think to buy this phon so please any one say the phone is good or bad and also the multit... more@Afzalikka go for it! It's an Android One phone, which means the design and hardware are in line with Google's specification and that's something to bank on for sure. 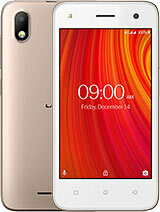 The phone rarely has overheating problems and the Quad-core 1.3 GHz processor along with 2 GB RAM and Mali-400MP2 ensure lag and stutter free multi-tasking and gaming experience. 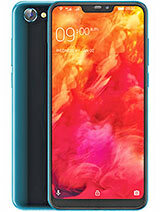 A great high-performance phone for sure, considering the pocket friendly price tag. sam, 16 Nov 2015Don't buy this phone ...its all lost money product don't buy no one single quality good You know what sam, I think you haven't even used Pixel v1! Cause if you had used it then you wouldn't be saying this right now! 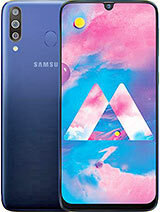 Going by the specs, this phone seriously packs a lot of features and that too at a fraction of the cost you'd probably pay for a flagship phone from the more established brands. I'd suggest you do some research of your own and maybe even use the phone before suggesting that it's a waste of money. And the only reason I'm saying all of this with conviction is cause my brother is using this phone and haven't heard him complaining about the phone even once!